has been awarded every three years since 2008 in honour of Stefan Heym, son of the City of Chemnitz and its honorary citizen. The award recognises outstanding authors and commentators whose work, like that of Stefan Heym, has proved them to be socially and politically engaged, and committed to advocating moral values. Alongside the awarding of the City of Chemnitz International Stefan Heym Prize in 2017, the International Stefan Heym Society has designed an accompanying programme from March to November 2017. 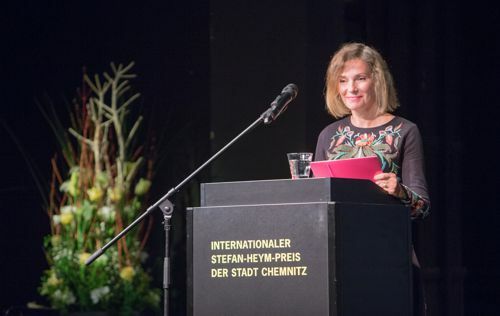 The City of Chemnitz International Stefan Heym Prize 2017 was awarded to the Polish writer and commentator Joanna Bator on 4th April 2017 at Chemnitz Schauspielhaus. The Award Committee’s decision was announced by Lord Mayor Barbara Ludwig in October 2016. In accordance with tradition, the literary prize, for which the winner receives 20,000 euros, was conferred around the time of Stefan Heym’s birthday in April 2017. The prizewinner received the award, endowed with 20,000 euros, personally from Lord Mayor Barbara Ludwig at Chemnitz Schauspielhaus. Amongst others, the honorary citizens Christoph Magirius and Siegmund Rotstein, deputies of the German Bundestag and the Saxon Landtag, the chairwoman of the International Stefan Heym Society, Dr. Ulrike Uhlig, as well as members of the award committee attended the awarding ceremony of the International Stefan Heym Prize. "The topics you are dealing with touch with the substance of the social debates we encounter on a daily basis – an obvious parallel to the work of Stefan Heym. And just like him, you do not make it easy for your reader to choose one side, you rather challenge him. Your books are about questions that do not know simple answers: questions about home, identity, affiliation, exclusion – how do people change, how do societies change when they have to change?" Lord Mayor Barbara Ludwig addressed the prizewinner in her welcoming speech. Born in 1968, Joanna Bator is one of the outstanding voices in contemporary European literature. Her idiosyncratic, artistic and subtle narratives engage quietly but determinedly with current social issues and phenomena, exploring all their historical dimensions. Her latest novel, Ciemno, prawie noc (Dark, Almost Night), shows how hate can destroy a community and how quickly the surface of human morality can rupture when people are confronted with change. This novel earned Joanna Bator Poland’s most prestigious literary prize, the Nike Award, in 2013. In 2016 she was shortlisted for the same novel for the House of World Cultures Award for Translated Contemporary Literatures. 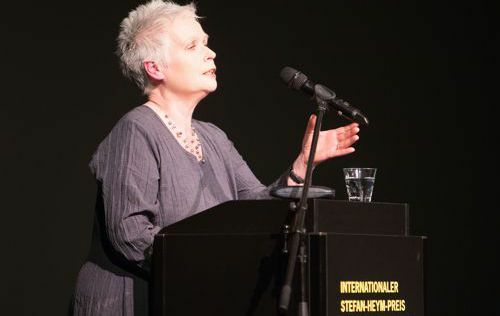 Her previous publications include the novels Piaskowa Góra (Sandy Mountain, 2011) and Chmurdalia (Cloudalia, 2013), along with numerous essays and articles. Joanna Bator was also the recipient of the Spycher: Leuk Literary Award 2014. She held the post of Friedrich Dürrenmatt Visiting Professor of World Literature in Bern for the winter semester of 2014/15. In 2015 Joanna Bator lived and worked for twelve months in Berlin as a guest of the DAAD Berlin Artists-In-Residence programme. She has a degree in philosophy and is an author and university lecturer. She has taught in Warsaw, New York, London and Tokyo, and lives in Poland and Japan. "There is no such thing as "the writer". Different writers want different things and it is natural that not everybody who writes a book should have the same aim. Some of us, like Nabokov, believe that the aesthetic freedom is the only principle to follow, others, such as Orwell, insist that direct political involvement is crucial. I am inclined to support the former but they are times like nowadays when everybody, including writers, is forced to redefine the tension between his or her own private world of turmoil and doubts and public domain that requires a different kind of approach and language. Few weeks ago taking part in the Warsaw Black Protest of Polish women fighting for their rights I was sure I was in the right place taking time off from my private projects to resist public danger. However, I believe that I as writer can be really involved in the life of my contemporaries only when I write exactly the right books at exactly the right time." The City of Chemnitz International Stefan Heym Prize was awarded to Christoph Hein on 10th April 2013, Stefan Heym’s 100th birthday. The recipient accepted the award and prize of 40,000 euros in person in front of 350 guests at the Chemnitz Playhouse. The ceremony was attended by Inge Heym, along with former Stefan Heym Prize recipient Bora Ćosić and honorary citizens of Chemnitz Christoph Magirius and Siegmund Rotstein. Christoph Hein was born on 8th April 1944 and is considered one of the most accomplished authors of our time. His literary work includes novels, essays, short stories, plays, lyrics and children’s books. He came to international attention in 1982 with his novella, The Distant Lover, published in West Germany in 1983 under the title Drachenblut (Dragon’s Blood). His most famous novels include The Tango Player (1988) and Willenbrock (2000), which was adapted as a film by Andreas Dresen. His most recent work is Weiskerns Nachlass (Weiskern’s Legacy, 2011). In 1998 Christoph Hein was appointed as the first President of the reunified German PEN centre. He was also co-editor of the Freitag newspaper until 2006. Christoph Hein was born in Heizendorf (Jasienica) in Silesia, Poland, and grew up in Bad Düben, Saxony. In 1960 he moved to West Berlin to enable him as the son of a pastor to take his Abitur (A Levels). Before studying logic and philosophy in Leipzig and Berlin (1967 to 1970), he earned his living as an assembly worker, bookseller and assistant director to Benno Besson at the Deutsches Theater and the Volksbühne in Berlin. After completing his studies, he returned to the Volksbühne as a dramatist and was appointed as a director in 1973 alongside Heiner Müller. Christoph Hein has been a freelance writer since 1979. As a member of the GDR PEN Centre, he was a critical participant in debate, protesting against censorship at the 10th Writers’ Congress in 1987 and two years later against the arrest of Václav Havel, to give just two examples. Christoph Hein was one of the speakers at the Alexanderplatz demonstration organised by artists in Berlin on 4th November 1989. He has won numerous awards, most recently the Uwe Johnson Prize (2012), the Eichendorff Award for Literature (2010) and the Walter Hasenclever Award for Literature (2008). He is also a holder of the Federal Cross of Merit (1994). 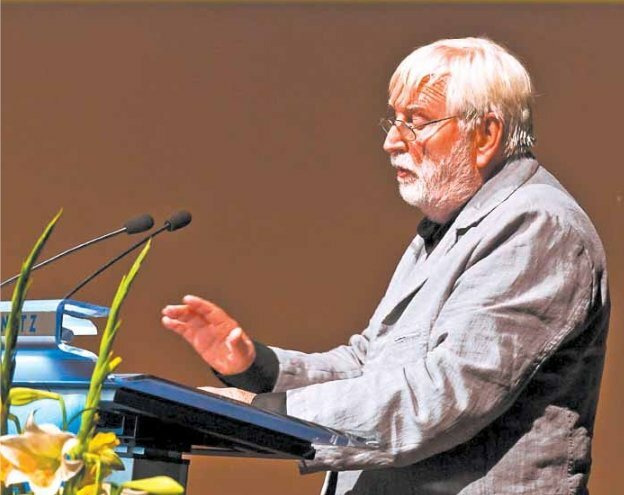 As part of the International Stefan Heym Conference on 1st July 2011, the City of Chemnitz International Stefan Heym Prize was awarded to the writer and commentator Bora Ćosić. 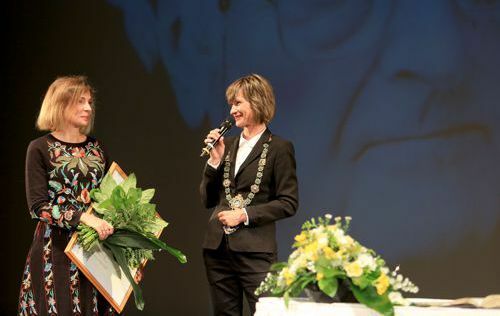 Bora Ćosić accepted the award and 40,000-euro prize in person at the official ceremony in Chemnitz town hall. The ceremony was accompanied by the music of Beethoven and Mahler, Stefan Heym’s and Bora Ćosić’s favourite composers. At the event, Bora Ćosić wrote an entry in the City of Chemnitz Golden Book, which records the city’s noteworthy figures and its honorary citizens. Ćosić, born in Zagreb in 1932, lived for 55 years in Belgrade until he emigrated in 1992; he has since lived in exile in Berlin and Rovinj (Croatia). In awarding the City of Chemnitz International Stefan Heym Prize to Bora Ćosić, the jury has recognised a great novelist, satirist and critic from south-eastern Europe. Ćosić stands in the tradition of the Serbian avant-garde of the 1960s and ’70s, and has published more than 30 works. Amongst the most well-known are his prizewinning novel My Family’s Role in the World Revolution (Uloga moje porodice u svetskoj revoluciji), a novel that appeared in the 1960s and predicted back then the downfall of Yugoslavia from a child’s viewpoint, as well as Nulta zemlja (Country Zero) and Put na Aljasku (Journey to Alaska). The Award Committee’s decision also recognises Ćosić’s role as a political writer in providing enlightenment. Bora Ćosić studied philosophy and worked amongst other things as an editor at various literary journals. Not wanting to live under the Milošević regime, he left Serbia in 1992, travelling to Rovinj in Croatia and then to Berlin. Bora Ćosić was awarded the Leipzig Book Award for European Understanding in 2002 and the Günter Grass Foundation Albatros Prize in 2008. The award ceremony took place during the First Stefan Heym Conference, which ran from 1st to 3rd July 2011 in Chemnitz. The conference, which examines the life and work of Stefan Heym, was organised by the International Stefan Heym Society in cooperation with the City of Chemnitz’s Cultural Management Office and held in the TIETZ. 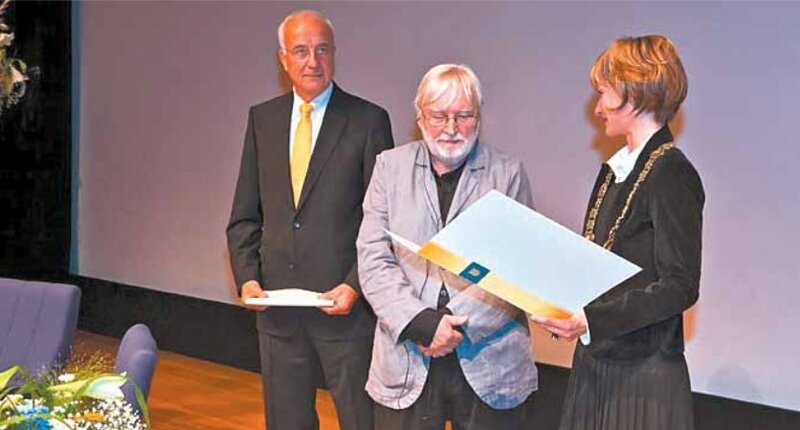 The City of Chemnitz awarded its first International Stefan Heym Prize on 14th April 2008, in honour of Stefan Heym, son of the city and honorary citizen. The first recipient of the prize is the Israeli writer and commentator Amos Oz, who accepted the award and the 40,000-euro prize in person in Chemnitz. The Stefan Heym Prize was awarded at a ceremony in the Chemnitz Opera. Ulla Unseld-Berkéwicz from the publishing house Suhrkamp Verlag gave a speech paying tribute to Amos Oz. Ambassador for the State of Israel Yoram Ben-Zeev gave a welcoming address. The Robert Schumann Philharmonic Orchestra played Beethoven and Brahms, two of Stefan Heym’s and Amos Oz’s favourite composers. As part of the ceremony, Amos Oz signed the City of Chemnitz Golden Book, which records the city’s noteworthy figures and its honorary citizens. 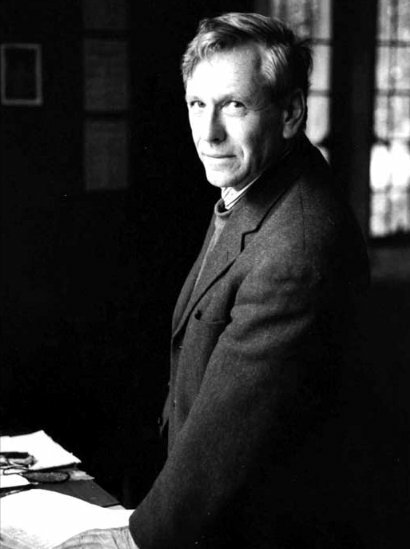 Amos Oz, born in 1939, is the recipient of several prestigious awards, including the Peace Prize of the German Book Trade (1992), the Israel Prize (1998), the Goethe Prize of the City of Frankfurt (2005), the Bavarian First Minister’s Corine Literature Prize (2006) and the Prince of Asturias Award (2007). Amos Oz has published more than 30 books, including novels, short stories and political essays. His works have been translated into 37 languages. As part of the City of Chemnitz International Stefan Heym Prize, the city has been awarding Stefan Heym Sponsorships since 2016. 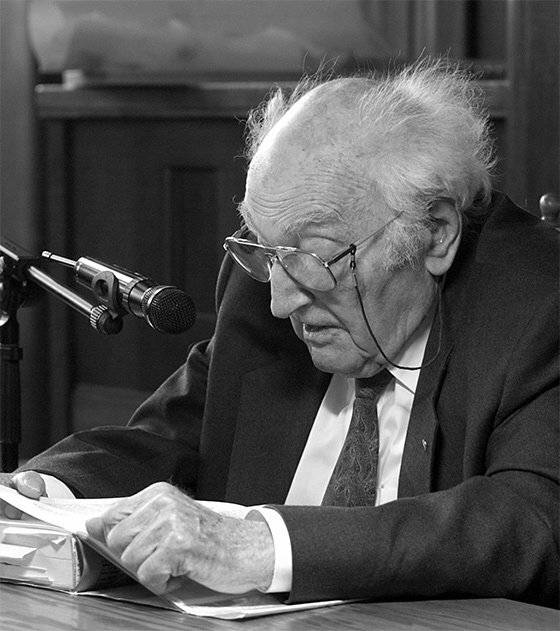 The sponsorships have a total value of 20,000 euros and are awarded in the form of grants alongside the International Stefan Heym Prize to fund school and university-level projects and initiatives with a particular focus on research on the life and work of Stefan Heym, and on keeping his legacy alive. All legal and natural persons, initiatives, institutions, public and private bodies and associations are eligible to apply for sponsorship. The projects and initiatives selected are to be completed in the period between the awarding of one International Stefan Heym Prize and the next. Applicants for sponsorship must submit a description of the project to be supported (max. two A4 sides) and a statement of costs. Decisions on sponsorship will be made by the City of Chemnitz International Stefan Heym Prize Award Committee. The deadline for applications is 30th June 2017. The son of a Jewish businessman, Stefan Heym was born Helmut Flieg in Chemnitz on 10th April 1913. His humanistic education meant that even as an 18-year-old high-school pupil of the Hohe Straße Staatsgymnasium Helmut Flieg was grappling with the social contradictions of the Weimar Republic. His first open social critique was the publication of a poem in the Chemnitz Volksstimme newspaper denouncing German militarism. This resulted in his expulsion from school and reprisals from the National Socialists after 1933. To protect himself and out of concern for his family under the Nazi anti-Semitic terror regime, he adopted the pseudonym Stefan Heym from then on. However, he was later unable to avoid having to emigrate to Prague and later to the USA. Having completed his studies in philosophy, German studies and journalism in Chicago, he started out in journalism as the Editor in Chief of the anti-fascist weekly Deutsches Volksecho. His literary career began with his novel Hostages in his mid-thirties. His contempt for the Hitler regime and his desire to play an active role in bringing the Second World War to an end led Stefan Heym to join the US Army. As a solider immediately after the end of the war, he visited Chemnitz, which had been devastated by bombing. At the start of the Cold War, Stefan Heym took a critical view of US policy and was expelled from the US Army because of his “pro-Communist position”. He returned his military medals to the American government in protest against the Korean War. Stefan Heym had great hopes for the GDR and made it his new homeland in 1952. As the author of novels that would become classics, such as The Crusaders, Der Fall Glasenapp (his own translation of Hostages, which had been written in English) and The Eyes of Reason, he gained a wide readership in the GDR and government approval. In recognition of his literary achievements, he was awarded the Heinrich Mann Prize in 1953, the Free German Trade Union Federation Literary Prize in 1956 and the GDR National Prize in 1959. Describing himself as a critical Marxist, he refused to let himself, as a writer of international acclaim, be complicit with, or used by, the SED (Socialist Unity Party of the GDR) leadership, engaging increasingly critically with the direction the GDR was taking from the mid-1950s onwards. His open discussion of social problems led to repeated clashes with the GDR leadership. On the other hand, his brilliant style and the topics he addressed meant Heym was enormously popular. In novels such as Uncertain Friend and The King David Report, he used the format of the historical novel to set out contemporary issues from a perspective that did not sit easily with official SED guidelines. Until 1989 the German-language editions of some of his works could only be published in the Federal Republic of Germany. Typical examples of this were the novels Collin and Schwarzenberg, which were published by Bertelsmann in 1979 and 1984 respectively, but only appeared in East Germany in 1990. Stefan Heym never made a secret of his rejection of the “actually existing socialism” practised in the GDR. His signing of the open letter protesting against the forced expatriation of Wolf Biermann led to his expulsion from the GDR Writers’ Union. Though he was subject to increasing constraints and at best only tolerated, Stefan Heym continued writing unabated. Via the West German media, he went on debating social issues in the GDR, which he continued to regard as his homeland despite all its shortcomings and the difficulties he had experienced there. In autumn 1989, Stefan Heym was one of the leading participants in the Peaceful Revolution in the GDR. Although he was one of the few leading figures in either of the German states who had foreseen the reunification of Germany at the beginning of the 1980s, he was a constructive and critical supporter of the process as it unfolded after 1990. As president by seniority of the 13th German Bundestag, his inaugural address in 1994 drew attention to the negative aspects of the reunification process and simultaneously pointed out the great historical opportunity for a reunified Germany to achieve democracy and social justice. Stefan Heym was a lateral thinker whose world view throughout his life was characterised by a commitment to humanism and social justice. His advocacy of ideology was never superficial; his role in discussions of social issues was more that of a charismatic pragmatist. He debated the social questions of the age in which he lived over the course of more than seven decades, and not just in his literary works. His moral courage and his constructive engagement with the search for a modern and sustainable form of society were always impressive. His unsparingly frank and not infrequently discomfiting style brought him up against the restrictions imposed on him by government, but neither German National Socialism nor McCarthyism in the USA, nor the GDR’s SED regime, could prevent Stefan Heym from striving for democracy and justice. In bestowing honorary citizenship on Stefan Heym on 2nd October 2001, the City of Chemnitz honoured an internationally respected individual who was born and grew up here in the city. The extent of his lifetime achievements makes Stefan Heym one of the most important German writers of the 20th century. Stefan Heym died in Israel on 16th December 2001. The City of Chemnitz will always honour his memory. The Society’s aim is to promote literary life, and it is dedicated above all to the study and promotion of Heym’s work, and to preserving his journalistic and literary legacy and the memory of his life. It aims to promote cooperation between all those interested in his work and to foster international relationships. The Stefan Heym Society therefore works closely with the Stefan Heym Archive at Cambridge University Library. It aims not only to advance research but also to stimulate public engagement with Heym’s literary achievement and works. The Society organises public readings, lectures, literary colloquiums, exhibitions and publications. The Society is a not-for-profit organisation and is registered in the Chemnitz District Court Registry of Associations. The Society will solely and directly pursue charitable aims. The City of Chemnitz Press Office acts as the contact point for media representatives, issues press releases, manages the website www.stefan-heym-preis.de and is the contact point for the city’s publications on the International Stefan Heym Prize. Mandatory field Security Code* What is the sum of 2 and 1? Find the City of Chemnitz on social media. The website layout, images used, graphical and audiovisual content, all text and individual articles are protected by copyright. The content of this internet site may only be reproduced for private purposes. Changes may not be made or copies disseminated without the consent of the copyright holder. Any third-party rights are to be observed separately. It is not permitted to create links to individual pages of this website. All brand and trade names that are mentioned within this website and which may be protected by third parties are also subject without restriction to the provisions of trademark law as applicable and to the proprietary rights of the respective registered owners. The City of Chemnitz provides the option of electronic communication. The legal basis for electronic communication is set out in section 3a of the German Administrative Procedure Act (VwVfG) in conjunction with section 2 paragraph 1 of the German eGovernment Act (EGovG). These provisions permit the transmission of electronic documents, insofar as the recipient provides access to them; the duty to provide access arises from the eGovernment Act. The City of Chemnitz has permitted such access in respect of electronic communication of correspondence without a form or template. The City of Chemnitz is committed to safeguarding your personal information. It has therefore adopted technical and organisational measures to ensure that data protection requirements are complied with.